Can I Borrow Money From My Mutual Funds? Mutual funds can be collateral for personal loans. 1. What Is Margin Equity? 3. 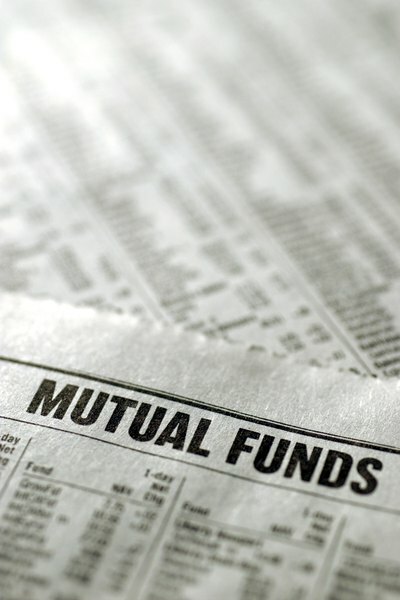 Can You Take a Loan Out on a Mutual Fund? While you cannot borrow money directly from your mutual funds, your mutual funds can be used as collateral for loans. Loans against mutual funds are called margin loans. Margin loans are usually obtained through stockbrokers, although some banks are in this type of business too. With a margin loan, you are able to borrow up to 50 percent of the value of your mutual funds. Margin loans against mutual funds are typically used to buy more stocks or mutual funds, but you can borrow money against your mutual funds for other purposes too. Interest rates on loans against your mutual funds will run you about 1 percent to 4 percent above the broker loan rates, which is what banks charge the broker for their money. One of the advantages of a margin loan against your mutual funds is that you don't have to make any loan payments. The interest on the loan compounds in your brokerage account as long as you hold the shares. The loan is repaid when you sell shares of the mutual fund. There are two major risks that come along with borrowing money against your mutual funds. The interest rates and sales commission can easily chew away any profit you make on selling your mutual funds. Also, if the stock market takes a serious plunge and the value of your mutual fund drops too far down in price, you will get a margin call from your stockbroker. A margin call is when the broker needs you to deposit more cash into the account to cover your losses. If you don't happen to have the cash the broker needs to bring your account balance back to an acceptable amount, the broker will automatically sell some of your mutual fund shares to repay part of what you borrowed. One of the main benefits of borrowing money against your mutual fund as opposed to borrowing against shares of an individual stock is that mutual funds are less volatile than individual stocks. A mutual fund is a collection of shares of many different companies and industries, so when the stock market takes a nose dive, mutual funds are less likely to drop as severely as an individual stock might. You will be less likely to get a margin call when you borrow against your mutual funds because they are way more diversified. Just because you can borrow money against your mutual funds doesn't mean you should. If you have a good track record of picking good mutual funds and you plan to use the money to by more stocks or mutual funds to compound your profits, it might be a good idea to take out a margin loan. But if you are a novice investor or you plan to use the borrowed money to finance a vacation or buy a depreciating asset like a car, it might not be the best idea because you will likely eat away investment capital you have worked hard to build. What Is Stock Market Leverage?